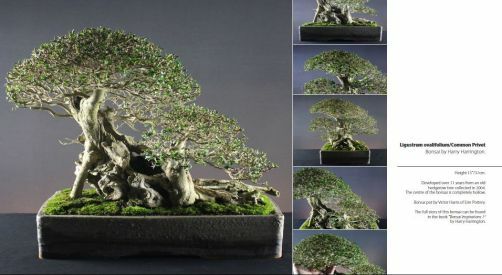 To increase refinement on bonsai that have their basic trunk and branch structure established, a technique called 'pinching out' can be used. With this technique, new growth within the vigorous areas of the tree is either partially or completely removed before it extends. After pinching out the apical growth, vigour is displaced more evenly amongst the branches of the tree. This technique encourages growth nearer the trunk and towards the lower branches. Bud-pinching out is an important technique for keeping your established bonsai in shape. Spring growth is especially vigorous particularly around the apical areas of a tree. Apical buds that are allowed to extend uninterrupted tend to have long internodes and deprive other areas of the tree of energy. By removing them, energy is not wasted on unnecessary growth that would other wise need to be removed in the coming weeks. It also displaces energy towards the inner and lower branches and encourages back-budding. The following series of pictures illustrates the first pinching out of an Acer Palmatum in Spring. This basic process will be repeated throughout the season on the most vigorous areas of the tree. It should be noted that this tree is in the final stages of development and requires increased ramification of its branches. There are occasions where it is necessary to allow growth to extend on trees before pruning; this is discussed in a separate part of this article. In this picture of an Acer Palmatum branch, it is possible to see that the new leaf buds are starting to open. Contained within each bud is a new shoot with embryonic leaves that if left unpruned, will fully extend. The apical growth which is circled in (A) is already showing signs of its dominance over the other shoots (B) and (C); the 'A' buds having already started to unfurl and extend whilst the 'B' and 'C' buds have yet to open. If this branch is left to grow unchecked, the growth in the apical areas (A) will continue to dominate and extend throughout the season, whilst the growth in areas (B) and (C) will be weak and exhibit little extension. In order that energy be diverted to bud-areas (B) and (C) and not wasted, the apically dominant area (A) needs to be pinched out as soon as possible. As can be seen in the picture, the first pair of leaves are gently opened out and the new shoot is removed with the help of some tweezers or similar. The first set of leaves are left. (NOTE; species that have alternatively-spaced leaves will have only one leaf open at this point and can be allowed to extend further to allow the retention of two leaves). The removal of these shoots will divert energy to the buds further back along the branch, these will be allowed to extend to 3 or 4 sets of leaves before they are trimmed back. A by-product of pinching-out is 'back budding'. Removal of the apical shoots will stimulate buds within the areas circled to develop into new shoots. This in turn will increase the number of shoots emanating from this branch, increasing ramification and helping to create a foliage pad. This process will be carried out throughout the year as new buds extend; keeping the current size and shape of the branch whilst increasing ramification. This technique can still be used for new shoots that are being allowed to extend to create new branches. As a bud opens into a new shoot, it will unfurl its new leaves before extending fully. By pinching-out when the required number of leaves have opened; the shoot will stop growing and extending, this results in a greatly reduced internode length.